Generate tremendous merits by making offerings with this traditional set of brass offering bowls, featuring rich carvings of the Eight Auspicious Signs. 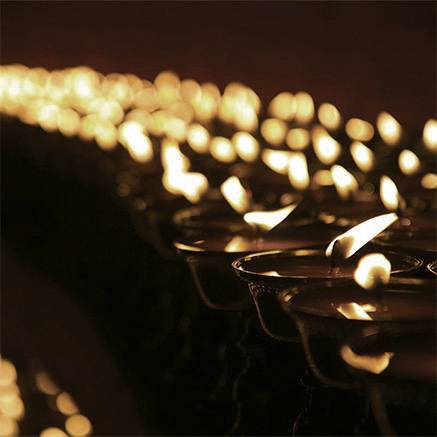 Perfect for small to medium-sized shrines and altars at home or in the workplace. 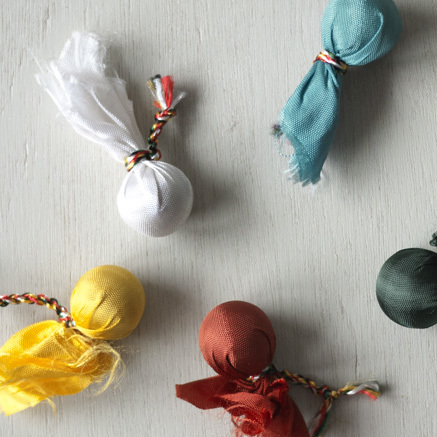 Offering bowls are an essential part of any Tibetan Buddhist shrine. 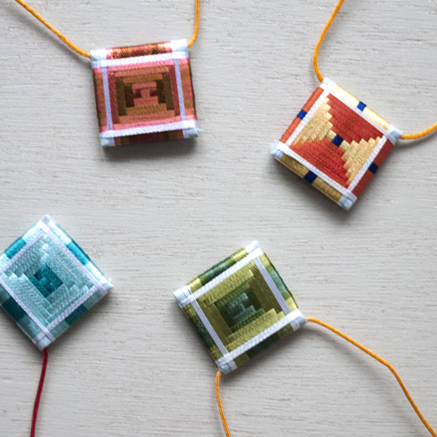 Available in a set of seven, these exquisite bowls may be used for offering pure water, the eight sensory objects, the five commitment substances, and so forth. 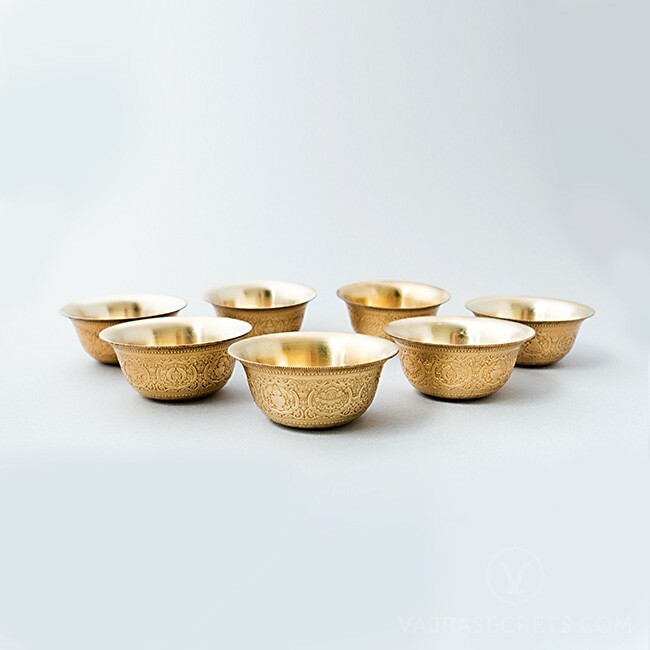 Enhance your daily water offerings with this traditional set of brass offering bowls. 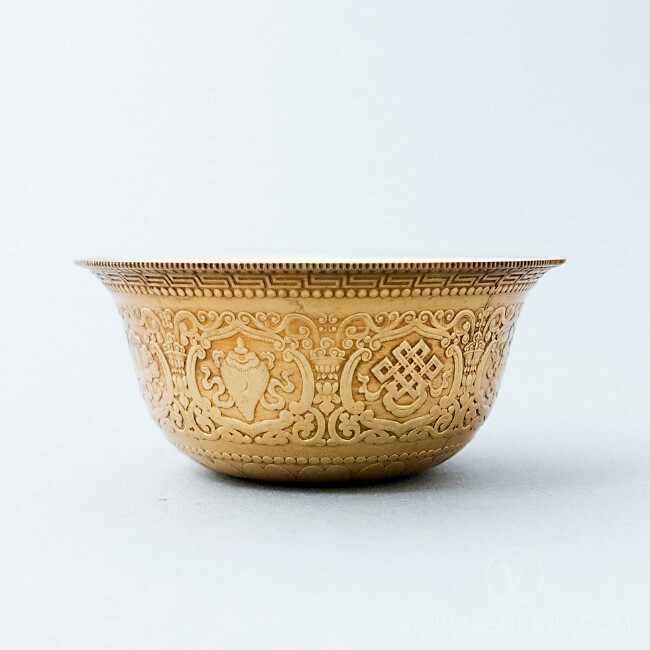 Featuring rich carvings of the Eight Auspicious Signs, these finely crafted bowls can also be combined with a butterlamp to make offerings of the eight sensory objects. * The use of certain liquids as offering substances may discolour the offering bowls.